We’re in full swing for what you might call the peak kiting season in North America… With fairer weather on our side, the better part of kiting events are held May through October, all building to a head at the AKA Grand Nationals (Rochester MN this year), and crowned by several smaller events over the following couple of months. As I write this, we’ve just finished up at the Berkeley Kite Festival, are preparing for an iQuad trip to Bogota (Colombia), and then on to WSIKF in Long Beach (WA) a few days after that for some particularly cool projects (see Kites… Life. 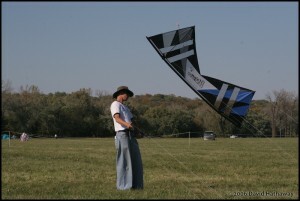 for more info) and one of the best kiting shows found anywhere on this continent. Kitelife is still a publication made by kitefliers, for kitefliers… Without the ongoing support of both our advertisers and subscribers, we wouldn’t be able to maintain such an extensive resource, and we’re eternally grateful. Due to recent forum upgrades, our subscription system is offline for the moment but we’re hoping to have the revised system online within the next 3-4 weeks… Please stay tuned, but in the meantime, we still have the full record of existing subscribers for our prize drawings. Thanks to all of you for being a part of this global movement we call kiting… Especially now, the levity, art, creativity and energy we deliver both by displayed and simply doing what we love is more valuable than ever. This entry was posted in 2009, From the Editor, Issue 67 (Jul/Aug), Kite Columns, KL Archive and tagged kitelife, subscriptions.